Currently viewing the tag: "Kate Spade"
I’m not really a “bag” person but I think I have the potential to become one. However I have a few stumbling blocks to overcome. I have a good friend who sells handbags at Neiman Marcus so I often stop in to see her and look around. I like a lot of the bags, especially some of the small Chanel ones for spring. But I just can’t get past the price. Who pays $3900.00 for a small beige shoulder bag or $5,900.00 for the pink quilted one? Apparently a lot of people do, but I’m just not there yet. About 4 years ago a guy who used to do some personal shopping for me at Bloomingdales picked out a “Nancy Gonzales” bag that was on sale. I had never heard of Nancy Gonzales so it didn’t really impress me much when he said the bag was a steal at $985.00. I ended up buying it but I really don’t like it. It weighs a ton and the compartments are hard to find stuff in. 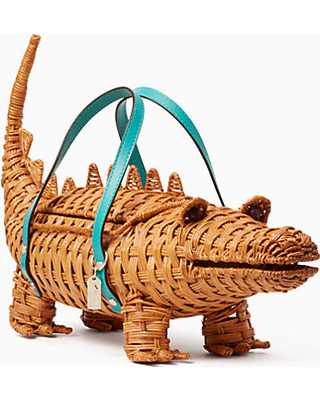 But now I’m looking at a used Nancy Gonzales green crocodile bag online for $899.99 and I’m thinking, I could dig it. But then I remember that two summers ago I bought a white no-name bag at Marshalls for about $37.00. I loved it, so much so, I resurrected it for last summer . When I mistakenly carried it into Gillette Stadium last September at the beginning of football season (they have a no bag policy) I emptied the contents into a plastic see-thru Ziploc and put the white bag in the trash. Then, on my way out, I fished it out and took it home. It’s “had it” but I’m hoping to find a bag I like as much for this summer. So Kate Spade, Fendi, Marc Jacobs – what have you got? Otherwise it’s Marshall’s here I come. An old boyfriend once told me “I like women in hats. It makes them look smart.” I was never quite sure how to take that remark, but I know I took it to heart. I’ve boldly worn hats and fascinators to both casual gatherings and swanky soirees for years. At the very least, it’s a conversation starter. But this year I’m pleased to report, hats are back big time and you and I won’t be the only ones wearing one. Not since the 1940’s have hats looked so good – and I’m not talking about pull over ski beanies. 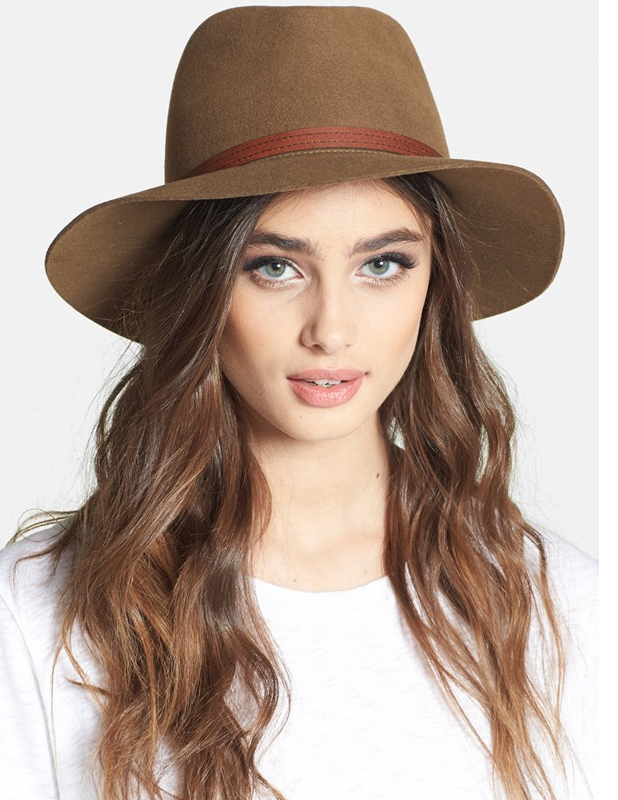 Specifically I’m talking about floppy brimmed hats. Rag & Bone carries a really snazzy series of floppy brim felt hats that are both “smart” and practical. Depending on the style, you can choose from a rich pecan, navy or black. While the Rag & Bone hat is $195.00, you can find cheaper versions of the floppy hat at Kate Spade, Urban Outfitters, and Nordstrom. One of my favorites is the Nordstrom two-tone for just $48.00. The hats are warm and double as an umbrella in light rain or snow. And it’s a good way to avoid too much exposure to the sun. Flop in anytime.